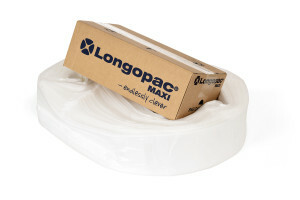 Longopac is a system that enables smarter waste handling and innovative packaging applications for a better working environment for professionals. It is hygienic since the bags are replaced and sealed from the outside – there is no contact with the waste. It is based on an extremely thin and strong 3-layer polyethylenematerial. The bagging material is folded into compact cassettes in especifically developed machines. It gives advantages as in time saving handling, low material consumption and low transport costs. 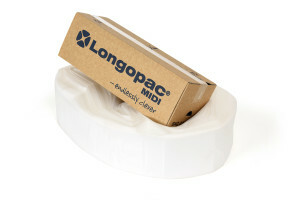 Longopac is available in many different colors and strengths as well as in Mini, Midi and Maxi size. It is certified to be used in different kinds of handling within: Odor Control, Biodegradable, Food, ESD, Sterile as well as with different strengths on the bag cassette. Read more about the different versions. Bags are replaced and sealed from the outside – no contact with the waste. Spillages around the opening are collected by the next bag. Loaded with a bag cassette up to 110 m in length. New bag always in place. Bag always securely sealed. Quick bag replacement – saves time. Variable bag size for flexible replacement intervals. 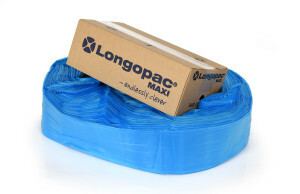 Longopac bags are manufactured from three-ply polyethylene- low material consumption and high strength. Independent lifecycle shows less than 1/3 koldioxid compared to traditional bags. Lower weight and more compact packing gives less transport cost. 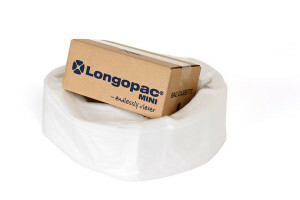 Longopac Biodegradable, a 100% material as an additional choice.